So it’s no secret that I haven’t blogged in months. I told myself over Christmas break that I would blog, but the time slipped away from me. A four week break from school sounds like plenty of time to get in a few blog posts.. right? But I totally failed at that. I had four weeks to try to catch up on everything that I had missed out on during the fall semester.. including time with friends and family. “Okay. It’s fine, you’ll find some time to blog this semester!” That’s what I told myself as I entered the spring semester. Then I blinked my eyes, it was May, and I was registering for my final semester of nursing school, which brings about all.the.feels. I’ve missed blogging. But once I hadn’t blogged for a while, even if I did have snippets of free time, where technically I could have written a post, I didn’t. I became scared of WordPress. After not blogging for months, I lost momentum. I lost confidence. The idea of writing a post and hitting submit, for whatever reason, was daunting and I felt like I was unable to complete the task. Recently, I’ve felt God tugging at my heart and softly whispering in my ear to open the laptop and write. It doesn’t matter if I haven’t written in months or if it sounds a little rusty. God called me to blog over a year ago, and I only halfway followed, because I stopped blogging in August. I followed when it was convenient, but when life got in the way, I stopped. Even though I placed blogging on the back burner and didn’t fully follow where God was leading me, He never got angry with me or upset with me. He simply whispered to me that blogging was something He wanted me to fulfill for HIS glory. If that doesn’t paint a picture of how loving and merciful and kind God is, I don’t know what does. For months, He was patient. For months, He did not chastise me. For months, He still called me beloved and cherished even when I ignored his call to me. I am so thankful for a Father who lavishes love upon me and who swaddles me in mercy and grace. I am thankful for his persistence and forgiveness. We all fall short. We all sin. But Jesus died and took our sins, all out of LOVE. A love that’s so vast, so deep, and so incomprehensible to our human brains. His love is perfect. His love is something we can’t deserve, earn, or buy. His love is poured out on us, freely. His love is eternal. His love gives life. My prayer today, as I return to blogging and I return to where Christ has called me, is that you’ll feel His love in the same way that I am as I type this post. I pray His love will meet you right where you are, that it will surround and engulf you, and that you will draw near to Him. This afternoon, as I was studying pediatric development stages, I was filled with boredom and frustration. Don’t get me wrong, I love the littles. But after a summer full of rest and relaxation, I’ve had a hard time getting back into the swing of school. I’ve cringed at the thought of studying, printing notes, highlighting notes, reading endless chapters, and waking up at 5 am for clinical. And once again, don’t get me wrong. I love my major. I love interacting with patients. I love knowing that I am in a field that helps to curate a servant’s heart. And I’m so grateful that God chose to place me here & that He’s reaffirmed that I’m right where He wants me. But that doesn’t mean that there aren’t any struggles or discouragement. Nursing is hard. It’s time consuming and tiring. It’s late nights, early mornings, and more flash cards than you could ever imagine. But somewhere in the midst of all the paperwork and the care plans, there’s a soft and quiet whisper that couldn’t possibly be anything except the Holy Spirit. I’ve heard the voice before. Multiple times, actually. But I was so wrapped up in my to do lists that I didn’t stop to listen. The voice has always been present when I was feeling overwhelmed or burnt out. And the other day, the Holy Spirit whispered to me again. So here’s a little back story, just in case you’re like, “Is this chick crazy? 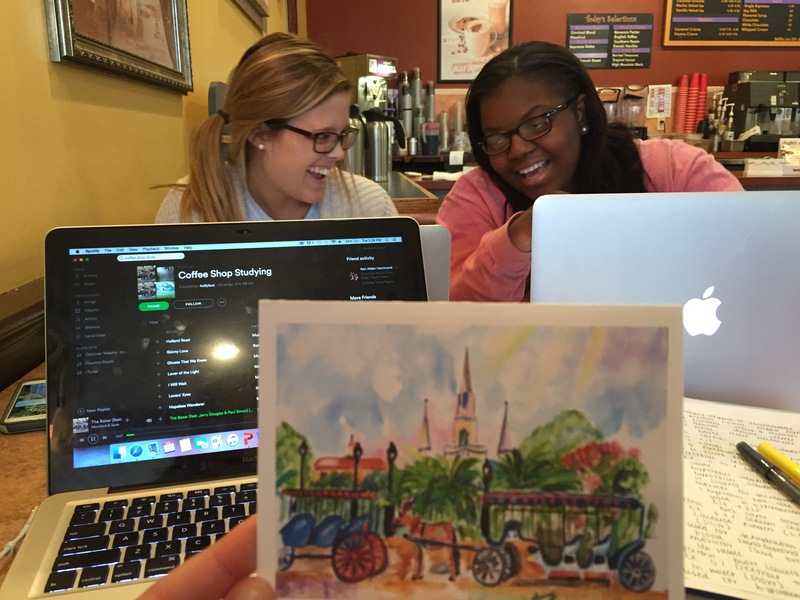 !” In reality, I’ve wished away the past four semesters. Wished that I was done with school already. Wished that I could live at home during the week. Wished that I didn’t have to study so much. I’ve wished that I was in a different season of life, and I’ve wished that I could go back to my pre-nursing school college years. 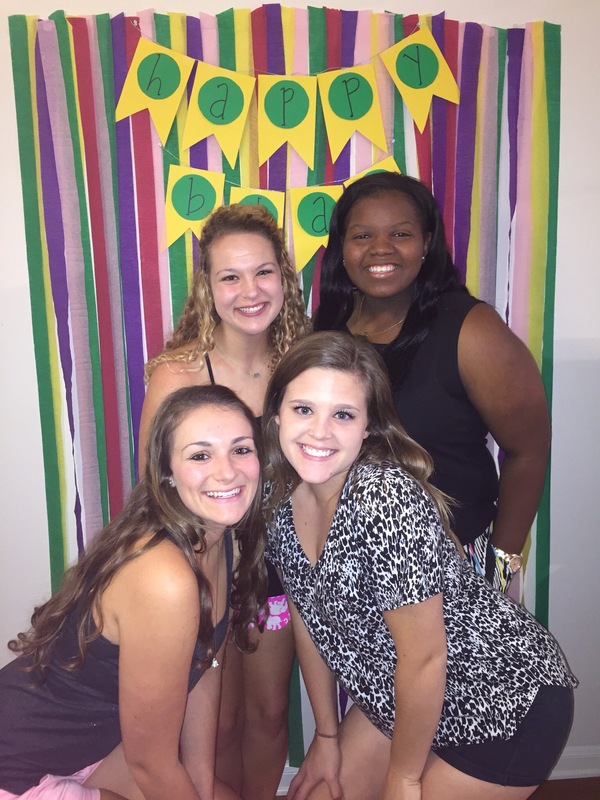 But now that I only have three semesters left, I’m wishing for more late nights in the apartment giggling with my friends. I’m wishing for more Rouses runs for petit fours after dinner. I’m wishing for more terrible dinners that turn into us ordering pizza. I’m wishing for more clinical experiences and I’m wishing for just one more semester with my friends. I’ve felt conflicted ever since I started nursing school. I love my future career, but the work load is overwhelming. I love getting to live with my friends, but I miss my family. But the Holy Spirit threw a stop sign out in front of me, causing me to tap my brakes, take a moment to reflect, and stop long enough to listen to that quiet whisper. And while sitting at that stop sign, I felt nothing but peace. I wasn’t worried about the paperwork, the to do lists, or the what-ifs. That quiet little whisper, at 1 am, while I was eating queso and blondies and having a late night chat with my friends, told me to stop wishing it all away. To be content with where I am and to ENJOY the journey, and not to just struggle to make it to Friday evening so I can go home. In three semesters, Kori is moving to Tennessee. Zelene may be moving to Texas. Ashlyn isn’t sure where she’ll end up, but she’s pretty sure it’ll be out of state to become a Nurse Midwife. Kassidy will be back on the north shore, and I’ll be back in Baton Rouge. The five of us, who have shared stories, laughter, tears, notes, food, and our lives, will be separated. We’ve all waited for this though, right? We’ve waited for graduation, we’ve waited to move, we’ve waited for our lives to “officially start” and we’ve waited to find out what specialties we like. Is it ER or OR? What about ICU or NICU? Or even PICU? Maybe trauma. But what about dermatology? We all like Dr. Pimple Popper. But we also like Labor and Delivery. But then there’s oncology. And med-surg. And none of us are entirely sure, so we wait. But today, waiting means something a little different. Waiting isn’t wishing away, counting down the days, hours, minutes, and seconds until we get our degrees. Waiting is cherishing what’s left and embracing the opportunity. Waiting is trusting in the Lord. So we wait. We wait to see what the future brings, we wait to see what kind of nurses we’ll be, and we wait to see where we’ll end up. And if there’s one thing that I know for sure, it’s that God provides while we’re waiting, and he provided me with some of the best friends I’ll ever have. I’ve been listening to the news all morning, and my heart breaks for the people of Houston. Seeing people get rescued by boats, canoes, and kayaks, hearing that nursing homes have waist deep water in them and haven’t been evacuated yet, and knowing the destruction that is sweeping the city is devastating. Baton Rouge experienced a flood last August, which left thousands of people evacuating their neighborhoods by boat, taking with them only the clothes on their back. People had to leave their entire lives behind as they embarked on boats without any idea where they were going or when they would reach dry land. 13 people lost their lives. And despite that, the rain continued to fall, the waters continued to rise, and there was nothing we could do. There was no stopping Mother Nature as she swept away childhood pictures, marriage licenses, family mementos, vehicles, animals, and homes. All we could do was pray. To see Houston experiencing the same traumatic disaster is just gut-renching. People are stranded. Interstates are flooded. People have no way out of the city, so they keep moving up within the buildings that they’re taking shelter in. But the rain continues to fall and it doesn’t appear to be stopping, and pretty soon, those buildings may be flooded as well. And we sit here watching everything unfold, feeling helpless and wondering why this is happening. So today, I pray. I pray that God would halt the waters and the winds. That Harvey, although predicted to go back out into the Gulf of Mexico and to hit Texas a second time, would not. I pray that it will dissipate. I pray that the people of Houston will be comforted by the Lord, that they will be ministered to, and that they’d feel wrapped in the love of the Lord. I pray that although they’ve lost everything, that they will cling to the One who is Everything. I pray that the storm will be stopped in its tracks and that the same devastation that’s hit Houston will not hit Baton Rouge and tear apart all of the work that’s been done to restore thousands of homes that housed water for days last August. And I pray for you. That if you’re reading this, that you are safe and dry in your home and out of Harvey’s way. In April, I ventured pretty far outside of my comfort zone. For someone who doesn’t like a lot of attention, who doesn’t enjoy the spotlight, and who is usually a fairly private person, blogging wasn’t something that I had ever pictured myself doing. Sure, I liked to write in late elementary school and early middle school. But as I moved throughout high school and college, life got busy. 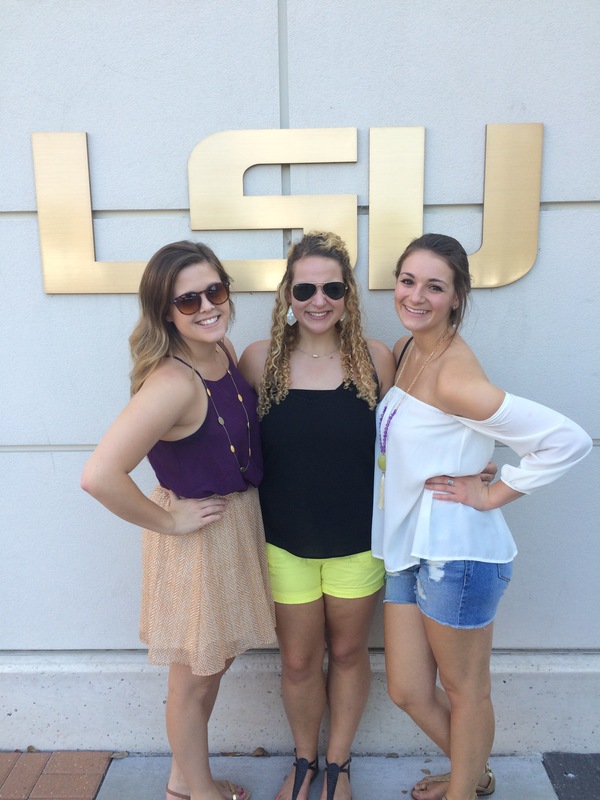 Writing wasn’t on my radar; papers, tests, spending time with friends, and Saturday nights in LSU’s Death Valley kept me on a tight schedule and I loved every second of it. Now that I’m in nursing school, life hasn’t gotten any less busy. In fact, it’s gotten busier than ever. But this past summer was the first summer that I haven’t taken summer class, and for a while, I kept wondering what I was going to do to fill my time (the idea of not studying was totally foreign to me). During the end of April, right before my finals week, I heard a soft and quiet voice telling me to start a blog. I wasn’t sure why, I wasn’t sure how, and I had not the slightest idea about the blogging world. All I knew was that when God said move, I was supposed to move. So I started a blog. I probably should’ve looked at those handy little Pinterest articles, like “How to Start Your First Blog” and “Starting A Lifestyle Blog for Beginners.” But I didn’t. I made a website (not without lots of Google searches and confusion) and I created my own little corner of the internet, where my fingers could run wild on a keyboard and my thoughts could fill pages. My short time as a blogger has been so rewarding. I’ve met some of the sweetest and most encouraging fellow bloggers. I’ve learned a lot about myself and I’ve learned how to efficiently manage my time. I’ve learned that it can be difficult to find the courage to share your writing with the whole world, or even just with your friends. But, the most important thing I’ve learned through blogging is a lesson about comparison. We’ve all heard that “comparison is the thief of joy.” If you’re rolling your eyes right about now, I don’t blame you. I don’t usually like those generic statements that everyone tends to overuse, either. But something about that statement really resonates with me. As humans, we’re prone to comparison. Comparison of hair, body type, skin color, intelligence, jobs, style, material items, and the list goes on and on. Comparison may cause discrimination, but it sure doesn’t discriminate when it weasels its way into our minds. We’re all victims of comparison. We’ve all wished that we had Becky from down the street’s car, or Sally’s internship, and let’s be real.. we’ve all wanted the number in Bill Gates’ bank account. As a blogger, there’s constant comparison. Comparison of your Instagram aesthetic, your number of followers, your amount of sponsored posts, your number of readers and website visitors, and of your content. I’ve found myself wishing that I had a larger following, that I had a larger amount of viewers, and that my account looked like someone else’s. I’ve wished that I had landed a sponsored post or a bigger collaboration. And while growing my blog is one of my goals, it’s easy to get consumed with comparison, which instantly makes you feel unworthy, untalented, unnoticed, and like you might as well just throw in the towel, simply because you don’t have 500 likes on your picture or several thousand followers. My blogging experience has taught me that it’s not about the multitude. I don’t need a massive following to be successful, because my success is not my own. It’s God’s. If His intentions are to reach one person through this blog, I’ll praise Him for it and I’ll rejoice over the fact that someone has entered the Kingdom of God. If His intentions are for The Rose Gold Pineapple to have 10,000 followers and multiple people are introduced to Christ via this blog, then I’ll rejoice over that too. I can’t compare my blog to others, because His plan for my blog may not be the same plan that He has for others, and that’s perfectly okay. My goal is to always be real with y’all. I don’t want my life to appear like it’s some cake walk, filled with roses and butterflies. So here I am, typing this post as I ugly cry & try my best to impersonate Kim Kardashian. Except I’m blowing my nose into Charmin Ultrasoft, and she probably blows her nose into a Hermes hankerchief. Why am I ugly crying, you ask? Nursing school. My school is an hour and a half from my house. And that sounds pathetic. Especially when I know people who go to school five, even ten, hours away from their home. Now, you know how every freshman cries after their parents leave them in their dorm? I go home every weekend, so every Sunday, when I put my car in reverse and head down the driveway, I cry like that freshman who just got dropped off. And technically, I’m a senior in college. I always think it’ll get better with each passing semester. And not to be a Debbie downer, but it doesn’t. Now the point of the post isn’t for sympathy or for you to think that I have severely underdeveloped coping skills. The point of this post is to tell all of you young ladies (or men) out there, that it’s okay to Kim K. cry when you leave your parents. It’s okay to miss them terribly. It’s okay to want to spend time with them every weekend. It’s okay NOT to spend the weekend at your apartment an hour and a half away, especially when you just want to be at your home with your parents. Wanting to be at home doesn’t mean you’re any less of a “grown up” than anyone else. I believe firmly that God is using this season of my life to prune me. If I didn’t know any different, I’d just think that I was an emotional lunatic. But, the Lord has made it abundantly clear to me during the past few semesters that I need Him, every waking moment of every day. Without Him, I am nothing but a wreck without hope; I’m a twenty something year old girl who can’t spread her wings and fly. But the Lord tells me otherwise. While we are supposed to branch from our parents and learn to be independent members of society, we aren’t meant to walk this life alone. This season is for me to learn just how necessary it is that I lean on Christ. He is my crutch. He is my portion, my strength, my Savior, the only reason I’ll be able to live eternally. He is what gets me through the trials of nursing school, the hardships of missing my parents, and the woes of this world. We are broken, but He is whole. He is an all powerful, grace lavishing, mercy abounding, love unsparing Father. “Such love has no fear, because perfect love expels all fear. If we are afraid, it is for fear of punishment, and this shows that we have not fully experienced his perfect love.” -1 John 4:18. Rest in His perfect love tonight. Let that love cast out any fear, any worries, any anxieties that you may have, and just rest in the fact that you are loved. You are cherished. You were created by the maker of the universe, you were worth death. 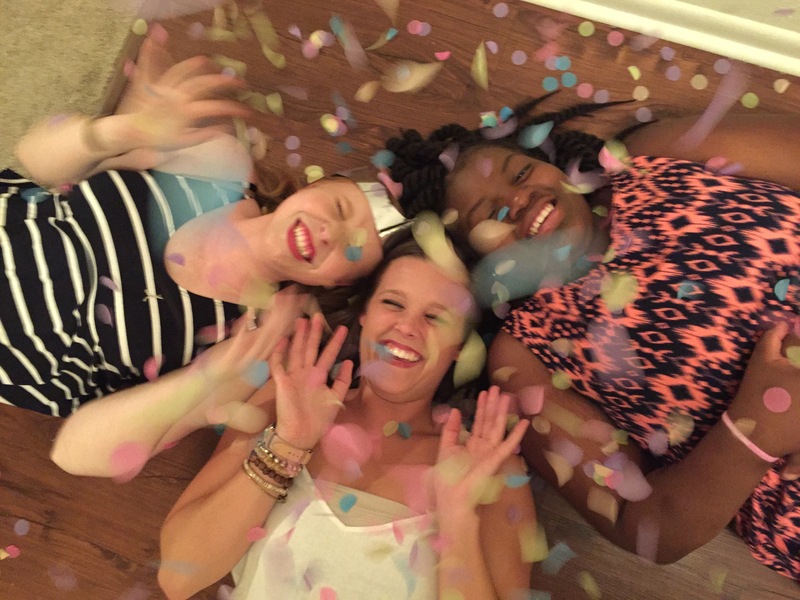 You are a prized possession of Christ, and that is something to celebrate. College is an expensive four years of your life, or, if you’re like me, almost five years of your life. Between rent, tuition, books, and other fees, it doesn’t leave much wiggle room financially. It’s taken me a while to fully figure out how to manage my money, but I’m sharing my favorite tips to save money during college. Utilize College Discounts– There are plenty of stores that offer discounts to college students. TAKE ADVANTAGE. You only have the identity of a student for four years (usually) so you might as well use the discount while it’s offered. Among the places that offer discounts are Apple, Insurance companies such as State Farm and Allstate, CorePower Yoga, Spotify, J. Crew, ASOS, Kate Spade, MadeWell, Topshop, Buffalo Wild Wings, and many others. Be Honest with your Friends. If you’re trying to save money, it’s OKAY to tell them that. There’s no shame in being frugal. Now that’s not to say that you can’t go out for frozen yogurt or a game of bowling. But if they ask to go to dinner and you’ve already spent money on food that week, chances are, if you tell them that, they’ll realize they should probably be saving money too. Plus, some of the best memories, in my experience, are made in the small apartment, baking chocolate chip cookies and watching Intervention while avoiding studying. Shop Poshmark, Mercari, Ebay, and other discounted websites. If there’s a specific item you’re looking to buy, or if you’re looking to splurge a little, chances are that you can find that item on one of those websites for cheaper. DO NOT buy books from your school’s bookstore. They are such a rip off. I’m a firm believer in renting from Amazon. They have every textbook imaginable, and who really needs to buy all of those books anyways? Where are you supposed to store them once you don’t need them anymore? Who has space for all of those textbooks?! Not me! Budget! I know, budgeting sounds like something that a forty year old mom with three kids should do, not a college student. But it’s a good habit to get into. There are tons of printables on Pinterest and lots of apps to help you manage your money. My personal favorite is Life Budget. The app allows you to enter your income and your expenses, and it helps you to visualize just how much of your income that you spend on unnecessary things. No one really wants to enter that they spent $183 out of a $200 dollar paycheck on clothes.. I hope these tips help you to make smarter financial decisions, and although I’m certainly no financial guru, I’ve found these tips have really helped me to get a grasp on financial responsibility. What money saving tips work best for you? Leave me a comment below! The term “summer reading” can do two things to a person. Option 1: It makes you sigh, begrudgingly, and you’re reminded of all of those less than exciting required summer readings from high school. Don’t worry, I wasn’t a fan of Beowulf or Grendel either. Option 2: You hear “summer reading” and instantly picture yourself on a beach, waves lapping against the shore and seagulls cawing in the distance. You’re wrapped up in the story line of a good book, getting tan, with a drink in hand. I’ve always been a bookworm. I love feeling like I’m friends with the characters in a book, like I’m apart of their world. I find reading is a blissful escape from reality. This summer, because it was my first summer free of summer classes (can I get an AMEN), I promised myself I was going to read more, and spend less time bingeing on Netflix. Hopefully I’m not the only one who lets the episodes keep playing until Netflix finally asks if you’re still watching. For your information, YES, I am. And it’s only my seventh episode of the day, thank you very much. I want to share 4 of my absolute favorite books with you guys. They’ve all spoken to my heart in some way this summer and they became my best friends on long car rides. A good book awakens part of you and makes you examine your life a little more. It makes you a dreamer, a thinker, and a little more wise. 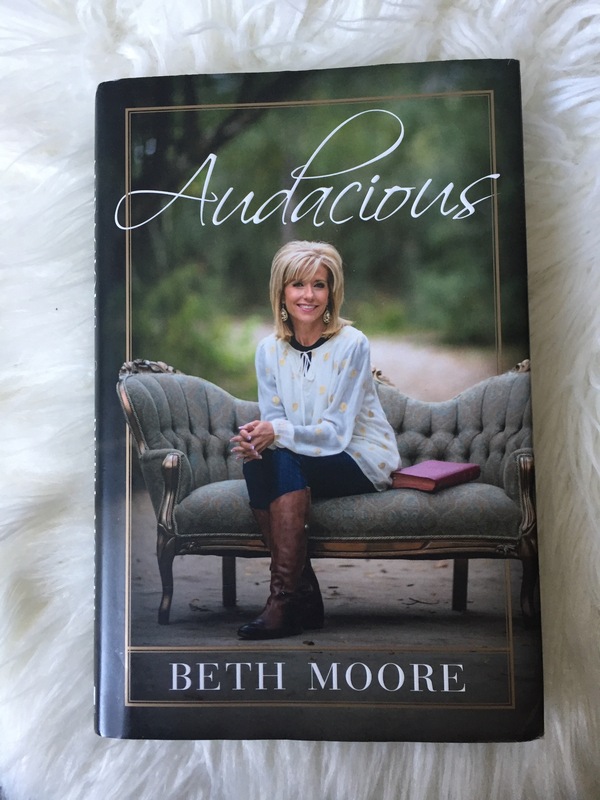 I’d like to think that Beth Moore’s “Audacious” helped to shape my Christian walk, which is why it’s number one on my “Summer Must Reads” list, although the books are not ordered by quality. They’re all pretty amazing if you ask me. Beth Moore has the friendliest and most charming way of writing. 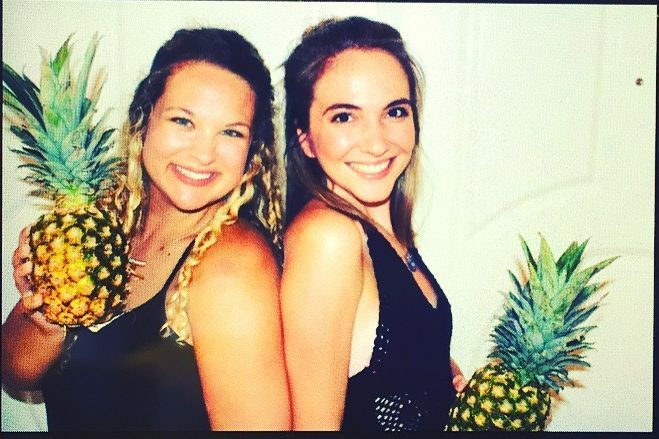 She makes you feel like you’ve been friends with her forever. She’s a southern woman with an outstanding amount of zeal and love for the Lord, and if you asked me to name five people that I wanted to be like, she would be one of them. Her joy is contagious and her desire to be a woman after the Lord’s own heart is something that I strive for. In Audacious, she teaches you how to be bold and daring for the sake of Christ. She encourages verve, excitement, and as the title implies, audacity. She teaches that we are blessed to be a blessing and blessed to simply be loved by our Maker. And that’s so exciting that we should be shouting it from the rooftops. This is a good read for anyone, but it’s especially moving if you’re looking for encouragement and working towards being bold in your faith. I picked up this book in Barnes and Noble, simply because my friend had posted a picture of Twenty Two with her morning coffee on Instagram, and the cover was cute. I can’t resist fun colors and pretty designs. When I picked out that book, I had no idea that it would double as a bestie while I was reading it. 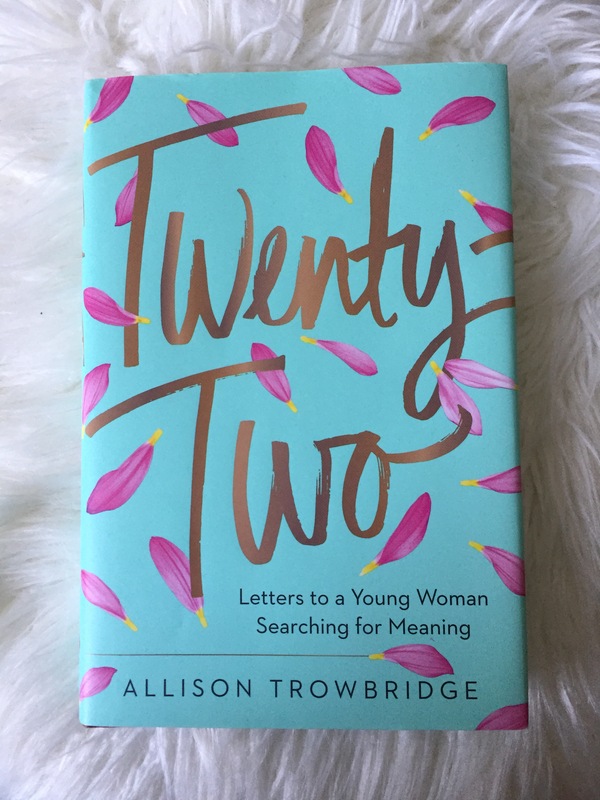 Trowbridge writes twenty two letters to a girl named Ashley (Ash) throughout the book, and the reader has the unique experience of soaking up all of the advice, the truths, and the love that Allie Trowbridge sends to Ash. By the end of the book, I felt like I had gained a dear friend; one that had experienced so much life and had so much to offer. 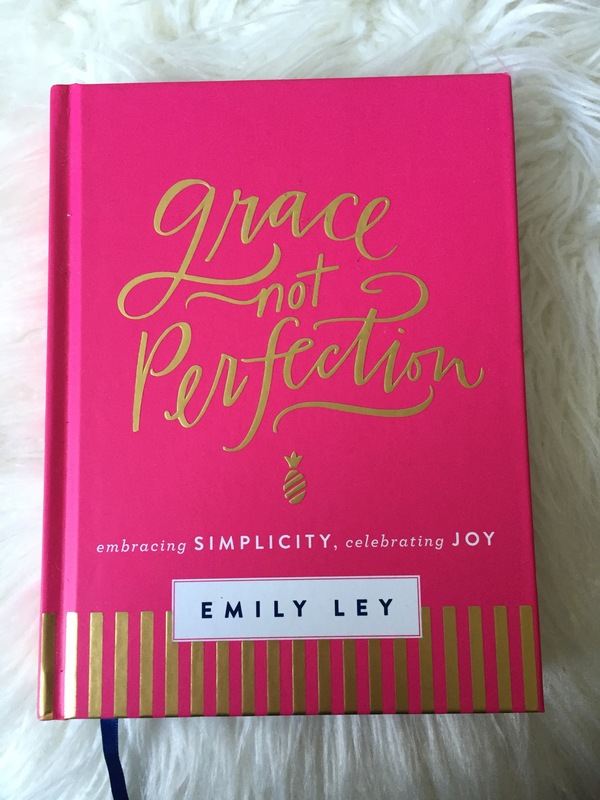 The book is beautifully written and I believe that all girls in their twenties should invest in this gem of a read. 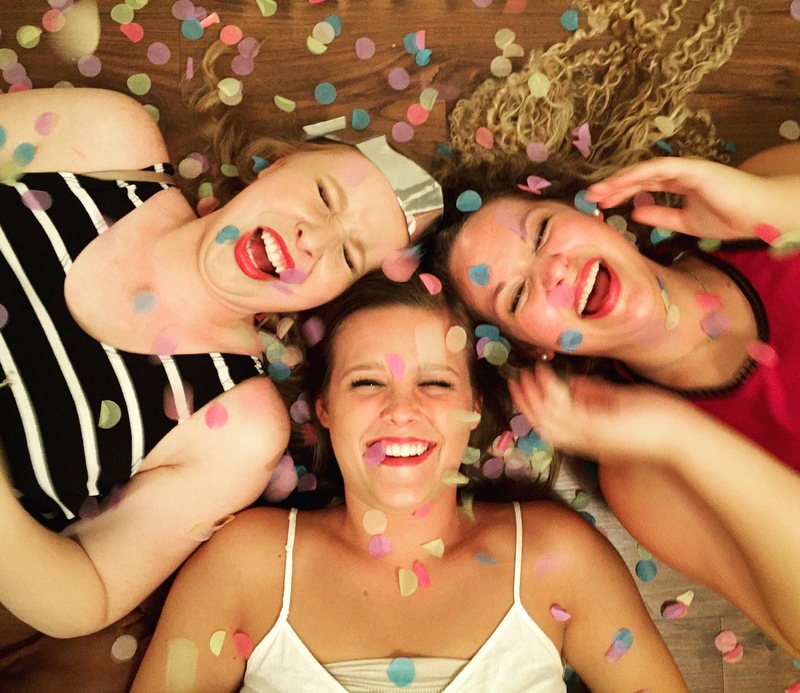 There’s so much to figure out during young adulthood- careers, relationships, friendships, etc, but Allie Trowbridge erases the fears that young women have and replaces it with encouragement. We really can be anything we want in this world, and when we trust in Jesus and allow Him to pave our path before us, we will be blessed. In our society, busy is a term of importance. If you aren’t busy, you aren’t accomplishing anything. Ley explains the necessary and life changing concept of rest. Resting in the Lord, resting by cleaning up your calendar, and the freedoms of saying no. And chances are, we’ve all been told a time or two to make time for ourselves and to say no to some things. But do we do that? Not usually. Sometimes we need someone besides our family to tell us to release ourselves of unnecessary responsibilities. There’s beauty in not being pulled in multiple different directions. There’s joy found in prioritizing how you want to spend your time and WHO you want to spend your time with. Ley does a stellar job at helping you to decide what’s worth your time and what’s not. I borrowed this book from a friend while we were road tripping to Texas. I had forgotten my book at home and was looking for a way to kill time while we sat in the car, parked over the Atchafalaya Basin for an hour and a half. If you’ve ever traveled I-10 westbound towards Texas, chances are you’ve sat in that same spot, which seems to be a never ending parking lot where everyone gets out of their cars and starts to socialize with the travelers in other vehicles. One man even got out of his car and did yoga on the interstate since it didn’t look like we’d be moving for a while. Guess that’s one way to get in a workout while traveling! Anyways, I digress. 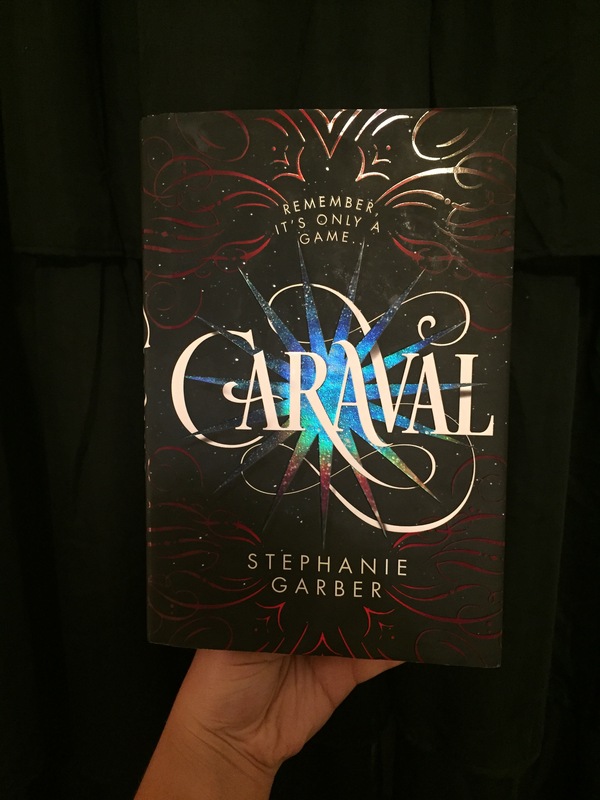 Caraval is a little bit different than the previously mentioned books. It’s a whimsical and enthralling fiction book that follows the lives of two sisters who want to escape from their father’s kingdom. The adventures that follow are exciting, dangerous, laced with romance and uncertainty. This book is one that makes you feel as if you’re falling down a rabbit hole into another world with every turned page. I haven’t read a fiction book in quite a while, and this book made me remember why I fell in love with reading when I was a little girl. Did you read any good books this summer?! Leave me a comment, I’d love to add more books to my list! Avocado has SO many benefits. In honor of #nationalavocadoday (who even knew all of these national days existed?! ), I’m sharing some of my favorite reasons to incorporate avocado into your life! 1. Avocados are a heart healthy food. 2. Avocado consumption can help to lower cholesterol. 3. Avocados are LOADED with antioxidants. Is it a coincidence that two of my favorite things, avocado and coffee are both packed with antioxidants?! Absolutely. But I’m glad that they are and I’ll continue to indulge in them! 4. You can add avocado to almost anything. Omelettes, salads, tacos, or as a side dish.. Avocados truly are such a versatile food. It’s easy to add them into dishes without the little ones noticing! 5. Avocado is GREAT for your skin! You can use an avocado based face mask, or just mash one up and spread it on your face. Avocados are packed with nutrients and vitamins that help to create elastic skin, prevent wrinkles and fine lines, and moisturize the skin. Avocados are a great superfood and something that I always like to have stocked in the fridge. Plus, I think they’re so cute! I love these handmade leather earrings from a store called Sweet Leather Goods in Baton Rouge! If you’re in the area, I highly recommend stopping by their store! They are the SWEETEST people and they sell the most fun and unique pieces. What’s your favorite way to eat avocado? Leave me a comment below! *The reader releases The Rose Gold Pineapple of any liability. By reading this post, the reader acknowledges that it is not a replacement for medical advice. All information retrieved from Authority Nutrition.